So many CMSs and web based requirements are already baked into Mura. It is a strong CMS base that has endless possibilities. I have yet to say, "Mura can't do that." Though it has a base in ColdFusion, it can be completely used without any CFML. It has a strong API that allows you to use Mura anyway you want! It isn't what I dislike about Mura, it is that I dislike that more people have not embraced Mura. This largely is not Mura's fault. Even if Mura and Coldfusion is new to you, I say just jump in. BlueRiver is great to work with, Mura is a great product, and Coldfusion lets a developer code faster and with less resources (lines of code). Even if you don't want to use ColdFusion you can utilize the API to do what you want. Web CMS - Many people can manage the web content, technical and nontechnical alike. App Base - custom apps can utilize the Mura core and API to expanded on top of it to do so many things. We use it for arrest records, media postings, product tracking, quiz taking, reporting, and so much more. It really is what can't Mura do? If it can't do something, it can easily be customized to do it or used as a base. Mura is an extremely flexible CMS and easy to customize to individual client business requirements. Mura comes with at least 90% of what I need for most of the B2B websites I create for clients. Mura provides its tool set and gets out of the way allowing the developer to be creative in the way they solve client challenges. There really isn't much to dislike, the documentation is solid and has been a focus for the Blue River team with recent releases. Occasionally there is something that seems to be missing or needs clarification and that is where the community comes in. The Blue River team, especially Matt, Steve W. and Michael E., are regularly seen jumping in to quickly help users when there are questions regarding implementation of the latest features or those on the bleeding edge. Install, read and refer to the documentation and ask questions on the Slack channel or Google Group. I use Mura on a daily basis for all websites I create and maintain unless the client specifically dictates another platform. Mura allows me to quickly develop and deploy new or redesigned websites for clients and give them a way to manage their content in an intuitive way using the backend content management tools or the frontend layout manager & editor. I have used Mura for simple brochure-like websites, complex user/community-based review sites with thousands of products and tens of thousands of users as well as large business to business multi-lingual websites. Мура нічого не важко використовувати і адаптувати. Я ціную роботу з нею тонну. У вас буде більшість апаратів, які вам можуть знадобитися, щоб максимально використати сайти, які ви повинні зробити для кожного клієнта. Фронтальні зміни та формати роблять його менш вимогливим, щоб отримати те, що вам потрібно від Мурa. Ви можете змінити все, як вам подобається, що є великим. Це також неймовірно стійкий, ніколи не розбитий. Документація велика, але може бути краще. Визначення того, як виконувати деяку корисність часто вимагає просіювання через різні Як новий вихід з нового клієнта, я був в залежності від онлайнової документації і обговорення мережі google, щоб дізнатися, і я регулярно відчуваю труднощі знайти саме те, що Мені потрібно. Збори. Мура робить нам простим перерахувати нашу історію поступово. Крім того, ми перенесли багато нашої речовини з зовнішніх напрямків (Flipbook, Eventbrite і т.д.) послідовно на наш сайт, роблячи зустрічі гостей нашого сайту більш розумними. "The best CMS I have ever used"
Mura is very simple to use yet super powerful. The fact that we can use an unlimited number of sites with a single Mura installation is a must that allows us to host many language versions of the same site very easily. What I like the most in Mura is the comprehensiveness of the feature set. It means that we need very few plugins (if any at all) to run exactly the site we need, which makes updating the system a breeze. The front-end editing capabilities are of great help to author our pages and blog post directly in the context into which they will be viewed. The content staging feature allows us to work on a set of pages and to test them out extensively before going live. Mura is written in CFML, which is both its strength and its weakness. CFML is one of the best language for developing a dynamic website, but the CFML community is quite small and the language adoption is far from doing justice to the awesomeness of the language. Few hosting companies proposes ColdFusion hosting, and, for those that do, it is often a little bit more expensive than "regular" web hosting. Hopefully the Mura community is very active and friendly, which compensates for its small size. Don't be afraid by the fact it is written in CFML. The learning curve is very soft and the reward is worth 10 times the training investment... Don't hesitate at all. We use Mura CMS to power our website in 2 languages (En and Fr). We have also developed a custom Mura Theme, so the site looks just the way we want. We have used the amazing Display Objects to develop our own training video hosting application on top of Mura, and we have more developments in mind. Mura is our single stop shop for all our entreprise web communication needs and it has never let us down! "The answer for all CMS solutions "
The extensibility and flexibility of the software offers a variety of solutions to solve common application build problems you would run into with other software CMS. Mura really does allow the capabilities to build anything ranging from headless applications to large api integrations. Whether your a content editor or developer you'll find Mura easy to use and will have a arsenal of tools at your finger tips. I could list all the great features (Form builder, Content Collections, mura.js, front-end editing, multiple template structures, admin ux, event scope, etc.) of Mura but really the best way to find out is to check it our for yourself. The lack of bulk editing. Coming from building Wordpress sites, not having a bulk editor took some time to get used too. There are copy and paste tools that help with this missing component so it is not a complete hinderance but a few bulk editing options would be a plus. Aside from that the software is great and has exceeded my expectations and I would never go back to building with Wordpress. Building sites that are extensible. We want to be able to grow with our clients as they do. Having the ability to easily create new layouts, add admin functionality or add integrations has been a huge win. We can literally tell our clients, most anything is possible, staying in the realm of web technologies. Ben, thanks very much for the review and feedback. You're very kind. If you'd be willing to share what you'd like to see in bulk editing, we'd be happy to take a look. It's been on our radar and seems like it could be a welcome addition. Just shoot me or someone on the team an email. "A CMS with a content platform and framework"
Mura is great out of the box but it is also easily extendable. Even without code you can do a lot. With coding you do almost anything building off easy to use content management tool for even the most technically illiterate. You can even build an application in and language and call content through it's API. There has been nothing I couldn't make it do. It's even Docker/container ready. Restricting content and managing users can be a little cumbersome, but it is a minor annoyance. However easily fixed by integrating with AD or Saml pretty easily. All my company's public web properties use Mura so the business can maintain content without the need for technical support. We build to enforce the brand so they don't have to worry about it. For our Java applications they can pull content from Mura remotely without needing to build content management into their application at all. We even have aMura application to setup redirects like bit.ly and manage maintenance/outage pages. This reduced thousands of network redirects that were difficult and costly to manage in the routers. When someone here needs something quick Mura is normally where they go first. "Mura as a Daily Driver"
Read hevily into the documentation. Use steve withingtons gist for code examples. Attend the mura training (its worth every penny). We build sites for clients who need a fully tailored solution to their needs. We utilize the power to build just about anything in mura and make it scalable. Currently, our team is looking into making it fully headless and using mura solely as a backend solution and cannot wait to see the end results. They constantly update mura to keep up with times and create new frontend frameworks to make a developers life a little easier. "Useful interface; easy enough to understand; customizeable." I like that I am able to delegate a lot of my web development roles to those who are less technical by giving them access to portions of code that make sense to them through Mura's interface. I am still unable to create custom error pages using Mura 7 after having reported the bug a few months ago. If you require custom error pages, for now, you will need to purchase a contract with Mura to get them implemented. I am able to modify content created through Mura with its own style sheet while simultaneously using an 'm' tag to call content with nested styles. It's great to be able to edit this content with CKEditor through the Mura interface. It saves me time and categorizes more simply. "Enterprise Class CMS... for humans"
Mura team succeeded to bring a very powerful CMS, very extendable like eZ Publish does, but with a simplicity and an efficient I've never met at this level of maturity in other CMS. The way of creating plugins that allows 3rd party integrator to bring new features directly integrated into the Mura user experience. The version 7 is a big push in the right direction, the "in context" web site edition is a killer feature like the form designer. Available templates are limited even if like a dozen has been released last year, otherwise almost all you need is available out-of-the-box. Don't be afraid by CFML, this is a very powerful language that will cut your dev cost by 5 to 10 compared to Java. We use Mura CMS to build from simple website to complex e-commerce platform and high class intranet. The users find their way very easily. Mura has core features that other CMS systems require extensive plugin installation to compare with, it's completely free, and also offers robust end-user training for those of us that are not technically savvy. Difficulty in finding pre-constructed themes like other CMS systems which requires extensive internal development of themes and customizations. Mura doesn't look or feel like a standard CMS for our clients, they feel as though they are using a customized website that is purpose-built for their needs. Jerre, thanks very much for the very kind words. Just wanted to add a quick clarification for you and anyone who may read your review. Many folks do think of ColdFusion as an older technology (or more accurately CFML, a modern Java scripting language), but what they often don't know is that it's not only modern, but in active development with a thriving community. In addition, there's a great CFML alternative to Adobe's ColdFusion in Lucee, which is deployable in any Java environment. Again, thanks for the very nice review. We love that your clients feel like they're using a purpose-built solution. You're clearly doing things right. Well done! "Robust, Stable, Extensible And More Than Capable"
Mura is very easy to set up , configure and deploy. Compared to Wordpress and Drupal, making edits and adding new pages is very easy for the end user with little CMS experience. When it comes to extending/creating content types and integrating custom code nothing comes close to being as easy. We've worked with a dozen CMS packages over the past decade and Mura is our "go to " when client ask. Support from Mura and their Google group is second to none. We've had issues with making something work and the Mura techs have replied with code solving out problem! Unfortunately the community is small compared to the more popular CMS systems. This is not a fault of Mura but rather CF. Absolutely give it a try if you are considering a CMS deployment. Deploying multi language sites or having clients that have a need to have multiple public facing or private sites yet want to share content across each. Was very simple to set up and maintain. "Open-Access Publishing with Mura CMS"
I'm an experienced ColdFusion developer who was looking for a CMS that would support a fairly large site with a number of editors. I've been impressed with the ease of designing and developing the site, the tools for creating users and groups and assigning permissions, and the ease of integrating files into the overall site. We're developing a new site for the WAC Clearinghouse (https://wac.colostate.edu), which provides open-access publications such as books and scholarly journals. We have a few thousand PDF files. I was able to link to these files easily using some virtual directories. Not much. It can be difficult to move from relying fully on CFML and scripting, but that's to be expected with a CMS. One great thing: I'm able to make calls to our databases (we use both MySQL and SQLServer) using display objects, which can be integrated easily into a page. I wanted to be able to shift the workload to a larger group of editors and reviewers. This is working extremely well. "Mura handles our needs very well..."
Mura has the flexibility to create highly customized sites, then hand off the day management of information to multiple people in your organization (having little to no web design experience). Documentation tends to lag behind production, but most of what you need can be found online with a little digging. We ran Mura for a couple years, just trying to figure it out as we went. We eventually ran into things we knew it could do, but didn't know how. I would HIGHLY recommend investing in the training sessions to help bridge the learning curve. We do a lot of information management using Mura. Everything from registration for our training events to tracking location information being reported by amateur radio weather spotters. "Excellent CMS for novice to pro"
Mura has a number of powerful features built in that are easy for novices to grasp, so content managers can focus on managing their content, not mastering technical complexities. At the same time, it is a very extensible platform that allows significant customization so power users can get exactly what they want. It's also designed to ensure that most customizations can be made without touching the core files, so upgrading the core to the latest version is straightforward. Because it's a free tool, and we don't pay for support, it sometimes takes a little while to get answers to questions. That said, it's only been an issue when I'm deep in the guts of the site trying to extend some functionality - for the vast majority of users, all of their questions will be addressed through the extensive documentation and online forums. Try it out - you will be satisfied. We are supporting multiple client sites with users who are technically competent but not interested in becoming technology experts - they just want to be able to deliver their content effectively. Mura lets them do what they do best, and makes it easy for them to manage their web presence. Works on both Lucee and Adobe platforms. Very extensible once you understand the underlying concept. It is a true CMS not just for blogging although you can do that too. Version 7 has so many improvements, especially with the way to manage content objects. The more I use it the more I love it. Things have actually gotten better since my first review. They have so much improved things. However, this is what I still do not like. Still difficult to figure out how to customize various aspects of the process. If you are looking for a great CMS this is the one to go for. Works on Lucee and Adobe versions of ColdFusion. It is easy to implement and well put together. MURA has great extensible and flexible features for both a seasoned developer and a novice. We use MURA extensively for all of our web clients. So far we have built over 50 sites using the MURA platform. From simple sites to e-commerce sites. Training clients on the use of the admin is pretty simple and you can lock clients down to varying levels to prevent them from doing anything that could potentially harm their own site. "A great CMS with a lot of functionality out-of-the-box!" The usability and easiness of using Mura CMS, as well as all the functionality that comes out-of-the-box. All of my clients that use Mura CMS to maintain their website have no issue getting used to the administrator interface and I therefor have very little work supporting them. There is only a limited amount of themes and plugins available on the market. But since it's so easy to create your own or to convert an Bootstrap theme, you can get around this very easily. The same counts for the plugins. Nearly everything you might need is already available out-of-the-box and if not, Mura CMS is easily extendable. Mura CMS is a great CMS to use for custom site development. I've bootstrapped a lot of websites very quickly with Mura CMS. And the great thing is that, once the sites get bigger, Mura CMS keeps a perfect solution to work with. "An enterprise-level CMS for everyone"
Mura occupies a unique niche in the CMS space as general purpose Enterprise CMS that doesn't try to be all things to all people. As a result, it becomes extremely easy to setup and configure without all of the cruft of features that will never need to be used for most purposes. Its API leaves plenty of ways to implement custom plugins and capabilities. Perhaps the only thing I disliked at first was the difficulty I had assigning new themes to it. This was before Mura adopted its own theming standards. While I understood their intention at the time, it ended up making theming projects much more difficult for developers. Since then, Mura has adopted its own theming standards which make it far easier to develop and customize. Mura doesn't try to be all things to all use cases. Rather, it's optimized for the Enterprise and public-facing sites. While you could use it for a blog, I'd recommend WordPress for example. At the same time, a large institution might benefit from a Drupal-based implementation. If the scope is well defined to include content management across an enterprise or public-facing website, Mura is the best combination of power and ease of setup/use for the job. Plugin architecture allows for extensive customisation and integration. Good admin UI which is relatively easy to train non technical users to use. While decent documentation exists for how to use and extend the product, core functionality (i.e. the guts of how the system works) is not. This means that when something is not working as intended (esp. when extending and overriding core functionality) it can sometimes be hard to work out why. While Mura does contain a reasonable roles and permissions system, the permissions themselves are fixed - i.e. you can only set ~4 different levels of access to a section of content for a user role - which makes complete sense with respect to pages etc. but doesn't allow custom permissions to be set and used when extending using plugins - such as giving a particular role permission to undertake a custom action. This can be worked round by effectively hard coding a role within a plugin to have access to particular functionality - i.e. using the role as a permission - but does not allow the flexibility a true m:n:m user : roles : permissions hierarchy to be configured. Great CMS platform, offers great combination of extendability and core functionality at an unbeatable price. We use Mura as the core platform for content managed sites and applications. We develop the majority of the custom functionality our client's require for these systems as plugins within Mura, allowing us to integrate with numerous third party systems with minimal overhead. Thanks for the review and the great feedback. Documentation is a high priority for Mura 7, so look for improvements. If you have something specific you'd like to see, please let us know as we're planning documentation improvements right now. As for the permissions, that makes perfect sense. If you're inclined, please share what would be helpful for you and we'll do our best to incorporate it. Awesome out of the box, yet easy to customize. Themes and plug-ins are easy to implement. Customers are not intimidated by the interface and can update content easily. The Blue River team is great to work with if you need help and their conferences are always very informative. I always come away with a renewed energy to get more clients using Mura - I have three additional clients using it since the last MuraCon (Feb 2016). Yay! Hosting providers (especially Hostek) are very easy to work with - I'm not a system administrator by trade, but their interface is easy to navigate and the support is outstanding. Not much, except sometimes you have to dig a little when customizing. Would be nice if eliminating index.cfm from the URLs and Data Collection object 'date entered' field were OTB options, similar to how you can implement SSL with just a radio box check. Ease of updating content for customers, quick turn around for new features, quick time to market. Thanks, Erin! The kind words are much appreciated! Hope we get to see you at MuraCon again this year! "Mura CMS in the government, non-profit, and corporate spheres"
I'd prefer if more people used Mura. The sad fact is that it is not always the best program that is the most popular. I'd like if if I didn't have to explain what Lucee is, or correct all the misconceptions about CFML. I'd also like to see more comments in the open source code. That would help in understanding what is going on under the hood. If you know CFML, this is arguably your best choice. If you don't, using an open source software is a great way to learn a language. As a manager, this option is a no brainer. I am running Mura on government websites, non profit websites, and small business websites. We are using plugins, integrating existing applications, serving up data, promoting projects and programs - all packaged in modern themes. Thanks, Andy! We appreciate it! Ease of use, the ability to customize anything, the plugin architecture, and the fact that I've been running it for seven years and it's been stable and crash free the whole time. My main dislike was addressed in later builds of version 6 with the JSON API. One thing I would like to see added is the ability to generate static pages. To fully customize Mura, you need to know some CFML. However, once you get a plugin template set up (there are templates on Github), you can go pure javacript and even use your js framework of choice (we've got Knockout, Angular and React plugins up and running). Thanks, Mike. Very much appreciate the kind words. Regarding the static page generation, Mura does offer that (in addition to caching options for more dynamic content), have you tried and found it lacking or are you not familiar with that feature? 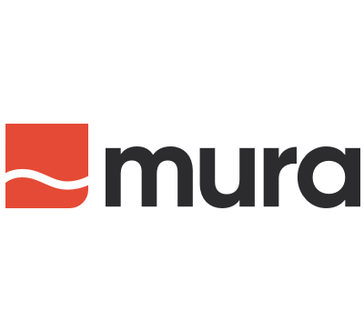 "We use MURA for all of our websites and have been very pleased with it." MURA is extremely flexible, allows for extensive customization and is easy for less technical savvy users to use. With many of our pages data driven, we have leveraged MURA's ability to customize pages to streamline data display for hundreds of pages, each set with unique requirements. We have not yet found something a user requested that we were unable to do. With the ability to customize the administration screens for the user we have created functionality such as cloning pages that make the end users job faster and simpler. There really is not much I don't like. We are extremely happy with this product. It is a learning curve to first learn it, but once you figure it out is is easy to use.. I do wish there was more extensive documentation on how to do things, but I believe they are working on this. With 60 - 80 programs per term and 3 terms per year, we have hundreds of unique, but often similar, program pages. Each set of program pages might have slightly different content and slightly different data , we were able to build a cloning functionality to build out new terms, allow editing of content on one page to be cloned to other pages as selected. Additionally, any of our other pages are data driven search's and it was quite easy to set these up in MURA. The amount of work it takes to maintain all of these pages has been significantly reduced. Thank you for the great review! We are indeed working on documentation and that is a big priority for us moving forward. Stay tuned! "Powerfull CMS for large, medium or even small websites"
I liked the fact that Mura can be used as a full-blown enterprise CMS as well as a CMS for small websites. You can disable or hide some features for your users or content managers that you don't need, this way you can create a 'light' admin UI for users that doesn't need all bells and whistles. In addition to many features that Mura already offers, I like the "one-click" update button to stay up-to-date with the latest version. Maybe the fact that there aren't a lot of plugins available can be a disadvantage for decision makers but Mura has a lot of functionality built-in compared to some other content management systems that require a lot of plugins to get the same functionality that Mura offers out of the box. Maybe one plugin that I'm missing is an easy-to-use 'light' eCommerce solution. A lot of plugins can also have a drawback if you want to stay up-to-date with the latest version of your CMS. A bunch of plugins can be deprecated or aren't compatible with the latest version of your CMS so you have to stick with the current version of your CMS or search for alternative plugins. As a senior CFML developer I was looking for a CFML based open source CMS for a large university college website and intranet website. Mura fits in for all kinds of websites, I have used Mura for small 'one-page' websites as well as large multilingual websites (which requires the free multilingual plugin). Tom, thank you very much for the review! Appreciated! Mura is amazing at creating modern digital websites quickly. I have created specific-purpose websites in a matter of hours using responsive themes. On the other end of the spectrum, Mura is highly customizable. The class extension manager allows you to create forms with any feature you can imagine. You can then power those features further by adding CFML. I am not a programmer and can extend Mura's powerful out-of-the-box features quite easily. Beyond web sites, Mura is what I use as the CMS under my modern web app development. I like to combine MEAN stack-style functionality to Mura CMS. As a 30-year veteran of the tech game, I find the fact that Mura is offered for free to be quite mind-boggling. I would have killed for this amazing mix of features, extensibility and reliability decades ago. As a non-programmer, setting up Mura is difficult for me. I tend to rely on Mura webhosts to get all the settings correct. I find setting up a local dev box time consuming. I'm also disappointed the Mura community has not grown faster over the last 6 years. It deserves a wider audience. I think that if Angular or ReactJS replaced jQuery as the base JS library/framework, it might get more attention. Highly recommend this software if you need to build websites quickly. You do not need to know programming. If you are a novice, have a webhost set up a site instance for you. I recommend Go West Hosting. I use Mura for websites that serve up training professional development. I have added custom training widgets to the Mura framework in order to use it as a learning content management system (LCMS). "Mura CMS-flexible, adaptable right out of box"
From a support point of view, we have almost no calls from our end-users. Their ability to pick up the product immediately was a huge plus. The development team helped us roll out integration with LDAP and we were good to go from there. Even though I'm an avid ColdFuser, there are some limits to the amount of plug-ins available when compared with some other packages or languages. I had a harder learning curve initially when writing customizations, but once the initial curve was done I haven't had any issues. I would highly recommend it. The development staff has been great to work with whenever we've had a need to write a custom or required any style of support. We have our intranet based exclusively on Mura and have been using one version or another for several years. Good feedback from all involved. Have different sites broken out for various user groups and have had no problem with maintenance. "Mura - so you don't have to reinvent the wheel"
ColdFusion developers are used to solving business problems. But the mundane basics - page creation, user management, plugin/modular approach, end up being slighly skewed with every project, and a new idea in one project ends up difficult to implement in a project you worked on a year or two ago. Enter Mura - a great starting point for EVERY project. With a wide variety of visual templates in both Bootstrap and Foundation to start with, your project starts out looking good. With a wide variety of time-tested features already in place, you can get to work on the customization, since you already have the basics available. And retrofit your new customizations back into prior projects through the plugin architecture... offer old clients new features without having to deal with the specifics of their project from "way back when." Get more done with less code. Mura 7 is the latest version as of this review, and since we're on the bleeding edge using the Release Candidate, the documentation is still being updated, and bugs are being found and fixed at a rapid pace. The documentation for older versions is laid out in a way that is non-intuitive (is what i'm looking for going to be found in the "for back end developers" or "front end developers" or "content managers" section?) but this is made up for with the community support via the Google Groups. There's a learning curve, no doubt, but if you already know ColdFusion, you'll be just fine. Do your homework, start with a small project, and learn what Bootstrap and/or Foundation front end frameworks offer. A wide variety of business problems, from basic websites through to fully realized custom internet and extranet projects. Main benefits are the continued use of a RAD language that I already know, combined with having a very mature and stable starting point for every new project... and getting more done in less time. "Full featured and easy to customize"
Mura CMS has a great feature set and is very easy to customize to meet site requirements. It has a long history and is about to release version 7. The development team behind the product is fantastic and eager to help potential developers and users of the platform. As it is CFML-based, it does not have the adoption rate of some other CMS's available. This limits the plugins that exist in the wild when compared to other platforms such as Wordpress and Drupal. If you want to use either Adobe Coldfusion or Lucee, Mura CMS is one of the best options for a CMS framework. It is used by many and has strong user support and also has a strong development track record. I use Mura CMS to run a large non-profit website that features many different types of content, forms and e-commerce capabilities. Mura has added features over time and allowed us to provide more functionality for our staff and end users. We have also worked with the developers, Blue River Interactive, on a responsive theme for our site and they were a pleasure to work with. "Very stable enterprise CMS system"
Im involved in the healthcare software systems for more than 15 years and was looking for a CMS system for my organization which I can easily modify according to our needs. Well Mura fitted all my needs as it's open sourced and free. You can basically contribute to its development. Very professional and polite training staff. It's ideal for a healthcare based system. If you compare with other CMS systems it has not as many widgets and plugins but you can create them as it's open sourced. I would recommend this to various healthcare environments especially who uses Coldfusion and/or Lucee. But if you even don't use CF, it's an ideal system for an enterprise level environment. As there are many enterprise level applications in our healthcare environment, Mura helps us in tackling them in parallel. It's ideal for both Intranet and Internet systems. It works really well for me as a teacher to manage the classroom site in this technology age! In particular it is great how the website can be modified to display in different languages which is particularly useful for those EAL students and parents. It can be challenging at first to use for the technology novice amongst us. I had to have lots of help from the IT guys at school to get it to do what I wanted. Though once it is on, it is a really smooth process! It is useful for educators everywhere who are wanting to become involved in the classroom with technology in mind. Just can be time consumning at first to get used to it, so set aside plenty of time. Managing to display classroom information in multiple languages, use of the event registration sign up for parents' evening and trips, text message notification as reminders for parents with outstanding requests. Super easy to customize and very responsive support when I post in the forum. As a consultant I try to be objective and pick the right tool for the job. When clients need a CMS I recommend Mura more often than any other CMS solution. The number of plugins is currently lower than other platforms but that is growing. The methodology for building plugins is extremely flexible (I can pick any MVC framework I want, or go without one entirely) making the learning curve very low. I'm porting my older client websites that are "legacy codebases" over to Mura CMS, so everything is standardized. This increases my pool of subcontractors, and makes my team more efficient overall. We're able to share code among projects much more easily and can complete projects more quickly. Thank you, Nolan! Greatly appreciated! "A CMS that could be more"
Mura is very user-friendly, and features an easy-to-learn UI that allows flexibility and robust web editing features. Make sure you do a thorough needs assessment and take Mura up on their trial offer. Make sure it is the platform that's right for your organization. Mura provides a good platform for a wide range of users who manage the content on our site. We have been able to involve many teams in the process of publishing web documents, whereas more complicated CMS's have been used primarily in the past by only a select few who understand it. "Mura Review from an Educators Point of View"
Love the ease of use to manage a site. When a teacher can update their classroom page with ease this is a win for educators. Love how the developers are open and provide insight to the reasoning on why and how they created mura in the way they have. The learning curve to know how to modify functionality to enhance to our specific needs. When code if found then enhancements are made. "I have used Mura for all of my freelance CMS projects and the client is always happy"
I like that Mura is so stable and easy to deploy sites on. Having used WordPress for work, it always seems like un-secure patchwork that breaks along with the plug-ins with each update. Mura always feels secure, professional, and rock solid. Finally, the user interface is so easy to use and for non-technical users to mange their site content with. I also like that it is backed and developed by Blue River which gives peace of mind for more advanced projects. I wish more professional website themes were available and it feels like the Mura community is small but proud and dedicated to our CMS. Mura is a professional grade CMS at an affordable price. You get an enterprise CMS that can support many content writers and admins. I have deployed over 10 websites on Mura and they always stay stable and fast. I am solving memberships promotion and sign-ups for the Woman's Club of Wisconsin (http://www.wc-wi.org), magazine subscriptions and articles for the Vine and the Branches (http://www.thevineandbranches.org), and truck promotions and servicing for truck drivers on the road who use the website extensively through their mobile phones for Lakeside International Trucks (http://www.lakesidetrucks.com). I am very new to Mura and have only been using it for the past few months. I still have a lot to learn, but so far I like that this CMS is a true CMS and not just a blogging platform. There are a lot of powerful personalization capabilities and it doesn't seem to be difficult for non-tech users to navigate. The Mura community is a bit small and it would be nice if the the online documentation was more detailed (granted there is already a lot of Mura docs available, but it is still very difficult to find what I need and often the docs don't have the answer) . As a brand new user, I've been relying on the online documentation and community google forums in order to learn, and I often end up having trouble finding exactly what I need. The admin interface also feels outdated, and there is a shortage of well designed templates. If you are looking for a CFML based CMS then Mura would be a good option. I use Mura to build and design custom websites for both for-profit and non-profit clients. I am still unsure of the benefits Mura has compared to other CMS. Thanks very much for taking the time to write a review. We understand your concerns and have taken steps to improve 2 out of 3, the Admin UI and the Docs. In fact, if you update to the latest version of Mura (released since you wrote this review), Mura 7, you'll find a completely redesigned admin. We hope you find it to be an improvement. As for docs, we are in the process a completely re-doing them completely. In addition, we'll be supplementing the docs with blog posts to illustrate how to do a variety of things in Mura. Please let us know if there is anything you'd like to see. Again, thanks for taking the time. We appreciate the feedback. "Versatile Platform for Many Levels of Web Development"
The Mura CMS has out of the box functionality that makes it easy to start with content management. I have used it for traditional content sites and as the backbone of more complex products, too. I like that it is so versatile. Documentation is good but could be better. Learning to implement some functionality often requires combing through Google Groups. Deployment is easy. Customization takes more work. I would recommend a sample deployment first to gain comfort and familiarity with the product. I have deployed Mura to support multiple web sites, a complex e-commerce site, and a Human Resources application. It has been very fast and stable. The plug in architecture has allowed me to easily add features. "Flexible CMS with frequent updates"
Really easy to build plugins when needed and theming makes customizations easy. Also site bundles and site-copying makes it easy to setup template websites to use as boiler plates for new customer sites..
Also multi-site tenancy in one instance is really great. The API could use a little more online documentation, but I've found you can often just look at the source code to solve most questions. Look around for bundles that people have made available which allow you deploy a site which is preconfigured. One customer I have is an international fanclub stie, with many child / chapter sites. Mura makes it super easy to spin up chapter sites as those chapters come online. "Easy to start with but very deep when mastering"
Using content beans and iterators makes Mura CMS a very comfortable tool to work with. I can set up a custom website within a day and quickly react on our client's requirements. Once finished, I can return to our bigger intranet projects where I'm using the whole set of Mura's functionalities. Despite some older features that most likely will be revamped in the near future, I'm very happy with the way Mura CMS is and where it's going to. Read the docs. Get started. We're using Mura CMS to set up websites quickly but also to realize bigger web-based projects such as intranets. "Mura for Government for nearly 10 years"
Everything is included. Many comparable CMSs require plugins and/or customizations to match the functionality of Mura. Our county reviewed 8+ CMSs ranging from open source to $20,000 a year contracts and Mura beat out the competition hands down. For Government it does everything we need it to do and more. On a personal level I would like to have closer integrations with social networks, instead of relying on the widgets of the social networks. The other "nice" functionality would be document management with full file search and in browser rendering of files. This partly can be completed with custom code, but it being integrated would help us eliminate the use of Alfresco. The initial reservation I run into; "it is written on ColdFusion, we don't know ColdFusion." Being written with ColdFusion it is generally the first hurdle. Most IT shops are asp or .net based. Though I am no advanced ColdFusion developer I have managed to take our country's websites from a handful to 100+ and I have done this pretty much alaone. It took 2-3 asp/net programmers to manage a handful of sites. Anyone that knows that this is largely b/c ColdFusion is so much faster to develop on... But when it comes to Mura... It is just so easy to manage multiple installs and sites on installs. I tell people to just try it, give it a shot, you won't regret it. It helps up provide 100+ websites (external and internal). It allows departments to provide online forms and up-to-date information. With custom coding we have have been able to quickly deploy tax bill lookups, animal adoptions, and tracking systems. Stephen, thank you very much for the kind words. We appreciate your support and taking the time to share your feedback. Thank you! "A feature rich CFML CMS backed by a great team"
Mura is a full featured CMS, which is to say, it can handle the complexity of enterprise level websites. From user permissions to a custom page types, contact forms, multiple site administration, etc. It's modern, extendable, and has a really responsive team behind it. It's CFML based, which might be a negative for PHP developers, but is a fantastic for CFML teams, because you can customize and extend it as needed. I also like that it is a mature product that is still under active development. Disclaimer; Users of the CMS would likely not experience these as issues; this is more from a developer perspective. While reviewing the code, to see if we would be utilizing it internally, there were some design decisions, both on the front and back end, that we found questionable. Additionally, like a lot of older, full-featured content management systems that were designed to handle a wide-range of use cases, the code felt bloated in places. Unless you have experienced CFML developers on your team, make sure that you work with the BlueRiver team. They can provide excellent support and guidance. It's a great product; superior in many ways to Drupal, Joomla, Concrete5, and Wordpress. More features out of the box, nicer interface, great team behind it. We were looking for a full featured, customizable, CFML based content management system (CMS). The end goal was building and supporting a fast, modern website, and making it easy for our content/non-tech team to manage the site. While we ended up going in a different direction (custom, in-house CMS), Mura certainly does fit that description. It's a fantastic product. I like the way Mura is easy customizable and the capability to add your own custom application. I have been training our employees to update the website content. These employees are not web savvy and have had numerous comments about how mura is easy to use. Adding users and maintaining permissions is a breeze! I love the ability to add global components. I do not like the hover over zoom option always popping up and staying on the screen. It interferes with navigating the system. I also wish there was a way to delete multiple objects with a checkbox select option. I wish we had more options in adding navigation. Right now we have a persistent plugin for navigation and I am having problems ordering that persistent navigation, it only orders in the way that you add it into the system. I also wish they had more supporting documentation. I wish there was a way to manage the search as an admin. I have pages showing up even tho I have indicated them not to display in the search. I wish I could rank the results as an admin to show either highlighted content or more relevant content. I wish I could see more recent content that was update other than just the 5 items that appear on the sidebar on the dashboard. We have a decent size site for a community college and my time was taken up by updating and maintaining web content. Now that we have a true content management system my time has been freeing up to working on developing and enhancing features on our site. Easily allows for custom design and provides so much functionality built in where other CMSs need to install modules and plug-ins. Hard to find Mura developers, even though ColdFusionML is a great language and Lucee is super, fast most people are not willing to learn ColdFusion. Mura is easy to use and flexible. I enjoy working with it a ton. Honestly, though, what I like best about Mura is knowing there's an awesome team of people behind it, who are always quick to answer my questions. The Mura support community is strong, and answers to my basic questions about the platform are always available, but it isn't as big as some other options. Mura makes it easy for us to tell our story dynamically. Also, we have migrated much of our content from external sites (Flipbook, Eventbrite, and so on) seamlessly into our website, making our website's visitors' experiences more coherent. "Excellent CMS tool for all"
Mura is simple and easy to use for all content editing and developing needs. You will have all of the tools that you might need in order to make the best out of the websites that you need to create for each client. Front-end editing and templates make it easier to get what you need from Mura. You can even get great results without necessarily being code-savvy. There’s not really much to dislike. If you come across any issues, the documentation and Support are always on hand to assist. Mura allowed me to quickly design and develop websites and content for clients and give them a way to manage their sites in an easy and simple way with the front and back end management tools. "My Top Tool for Web Development"
Mura provides me a platform where 90% of my work is already done before I ever get started! There is not much to dislike. Sure, not everyone codes in CFML, but what little coding I actually have to do is front end related and it is easy to pickup. I provide websites (45) for a large college at a major SEC university. Mura makes my work easy and saves so much time. The better I know my tool, the better I can do my work. Content is available across all sites. Changes to look and feel are easily propagated across all sites. The ease of the programme that allows us to map our customer journeys through each service. Also the alert service that tells us when our performance isnt as it should be. This is a very good piece of kit that will improve the way your business runs massively. Will continue to use and will let people know about it. I really liked that our training was based in a test site. I could test creating what the instructor was teaching. I could also play around with the settings I learned. Gives you great ideas for your own site. It would be helpful if Mura offered a brief training video on the general overview of a content manager. Login, basic edit option and quick description of the CK editor. Easy to use content management system. Which is helpful when I am supporting different customers. It has the basic content management needs for creating a website. Thanks very much for the review and the feedback. We have more videos in the queue for using Mura. Please let us know if there is anything else you'd be interested in seeing. Thanks! "Built several sites with Mura CMS"
I enjoyed the easy-to-use interface and the ease of creating components. I found it easy to customize my pages and pull from my database using the interface. There wasn't anything in particular that stood out as a dislike. We were able to build websites for different branches of our company that had managers with no web developer experience. Those managers were then able to make updates to key pages of their site without our further intervention. "Installed many instances of Mura and developed plugins for Mura using ColdFusion"
It's very easy to install and get up and running, especially if your hosting company offers a one-click install option. Sometimes when upgrading from one version to another there are glitches. As with any CMS, you should backup the site files and database prior to performing an upgrade. Try it, you'll like it. It's super easy to install and has alot of feature built-in. We use Mura and Mura plugins to run online conference attendee and vendor registration. Mura allows us to have a standard framework to prop up a site easily, and between themes, templates, and components, make a site to the exact customer specifications. Sometimes our users get themselves into trouble with so many customizable options laying around. if your specs are cms & coldfusion, it's the best out there. Have a generic, updatable codebase to initialize a site with cms capabilities. * We monitor all Mura reviews to prevent fraudulent reviews and keep review quality high. We do not post reviews by company employees or direct competitors. Validated reviews require the user to submit a screenshot of the product containing their user ID, in order to verify a user is an actual user of the product. Hi there! Are you looking to implement a solution like Mura?